NIOS Exam Dates 2019-2020 - National Institute of Open Schooling has revised the NIOS exam dates for Block I (April) exams on March 11, 2019. Block I exams will start from March 16 for practical while theory papers for class 12th from April 2 and April 3 for class 10th, 2019. The last exam will be held on May 4, 2019. The admit card for April exams has been released on March 13, 2019 in online mode. The admission for Block I (April exam) was open till September 15, 2018, with late fees and exam fee payment was open till January 25, 2019, according to NIOS exam dates 2019. The exam fees for NIOS 2019 could be easily paid by entering the candidate 11/12 digit enrollment no. and pay via credit/debit/internet banking. The admission for Block II October exam is open for 2019-2020 session. In 2018, NIOS has conducted October(Block II) theory exams for class 12th from October 6 and for class 10th from October 8. Theory exams for class 12th and class 10th concluded on November 5, 2018. Practical exams for class 12th and 10th were held between September 20, 2018, to October 5, 2018. To know more about NIOS Exam dates 2018-19, fee payment, admit card, result etc. scroll down. All the important dates starting from admission, exam fees payment until results are listed below. 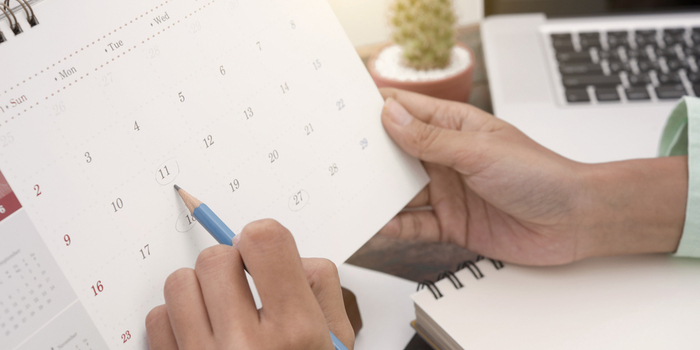 Candidates must keep this calendar of exam dates of NIOS 2019 handy so as not to skip any event. The application process for NIOS 2019 Block II admission started on September 16, 2018, and will continue till March 15, 2019, including late charges as per NIOS exam dates 2019-20. The application process for NIOS 2019 Block I is conducted from March- July every year. The exam for streams I and II are held in March/ April and October/ November, respectively. The link for Block II admission is given above. A candidate registered under NIOS for class 10th and 12th need to pay exam fees for their respective sessions in June and December. The exam fees could be paid only by online mode of payment. Candidate must note that the admission fee does not include the exam fees. Admit card for 10th and 12th block I April exam has been released on March 13, 2018. Admit card is an important part to sit for the examination. A candidate can download the NIOS Admit Card 15-20 days prior to the commencement of examination from the official website by entering their 11 digit reference no. or 11/12 digit enrollment no. The admit card contains details regarding a student's name, roll number, exam centre, exam schedule and medium. They must carry the admit card to the exam centre on the day of the exam. The link to download secondary and senior secondary hall ticket is given below. The syllabus for secondary and senior secondary courses have been prescribed by NIOS. Students are advised to follow the syllabus to successfully clear the exams. It mentions the topic wise exam pattern along with weightage of marks given to different topics. The NIOS does not allow the students to choose the exam centres. The can only fill in the region wherein they are filling the application form from. The final decision for the exam centre lies with the NIOS authorities only. No request regarding the change in the exam centre would be entertained. A student must appear for the exam at the exam centre allotted to them otherwise they would be marked absent. A student must also practice the sample papers or previous year question papers as given by NIOS on its official website to have an edge over other students. It benefits you in multiple ways like knowing the exam pattern, type and number of questions being asked, time management, speed improvement are some of them. The result of NIOS for October/November 2018 exam was declared on December 15, 2018, while that for April/May 2019 exam would be out in June 2019. A student can easily check and download their mark sheet from the NIOS website or the link would be available on our website once the result is out. It can also be collected from candidates registered study centre. Provisional certificates for the same can also be collected from the study centre. Your NIOS Class 12 brochure has been successfully mailed to your registered email id .